Smooth, aggressive mobility – that’s the hallmark of the Cobra Stinger off-road vehicle. It moves over rugged terrain with the lethal focus of a tarantula bearing down on its next meal. The vehicle’s wishbone suspension allows it to maintain stability and speed over the roughest ground. The rocket launcher rotates a full 360 degrees for maximum battle effectiveness. The V-12 twin-turbo engine has the stamina and power for sustained combat deployment in the capable control of a Cobra Stinger Driver. Third release of the Stinger. 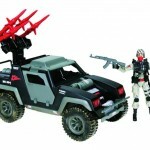 Uses the original VAMP mold in lieu of the new version which was released earlier in the GI Joe 25th Anniversary line. 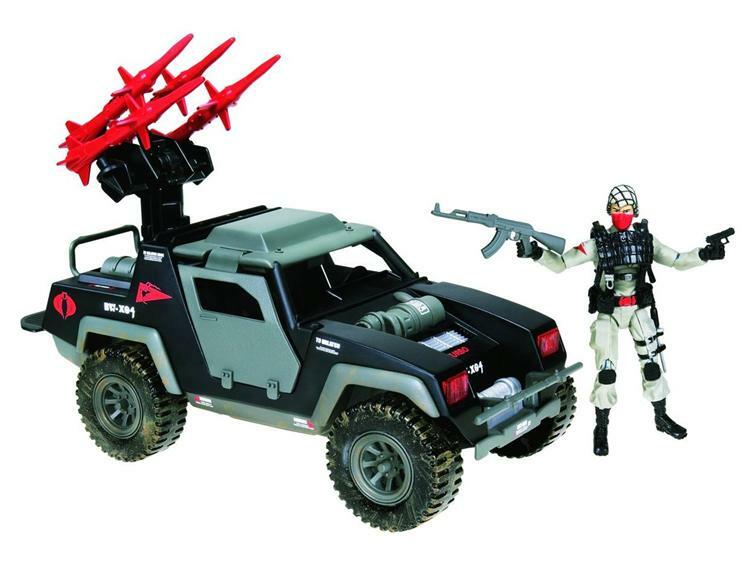 Released as part of GI Joe 25th Anniversary Vehicles Wave 5. Canceled at retail, later sold exclusively from etailers, then later seen at closeout stores(and Hobbytown).